Labour Party in Anambra state has accused the state Governor, Mr. Peter Obi of deliberately refusing to conduct local government poll in order to enrich himself with the resources accruing to the third tier of government. Engr. Ositadinma Oraegbunem, the state Chairman of the party disclosed this recently in an interview with newsmen at Amansea, Awka-North local government area, adding that Governor Obi has milked the state dry since assumption of office only to succumb to church donations at last count so as to cover-up his mess. Describing the level of development in Awka, the state capital, as “poor and below average”, Engr. Oraegbunem said that the APGA led government should have channeled the local government funds into creating employment for the citizenry, turning Awka into a befitting state capital, upgrading Onitsha and Nnewi to international standard in commerce and industry through provision of basic amenities and by constructing Airport in the state instead of forcing her populace to traverse Enugu and Asaba before travelling abroad via aircraft because Anambrarians according to him, constitute about 90% travelers on daily basis and business moguls who developed all part of the world. He said: “There is no way meaningful development could thrive in a state that refused to grant autonomy to her local government areas. My party would conduct local government election if voted-in because it guarantees democracy at its entirety. We are supporting Local Government autonomy as a way of entrenching governance to the rural communities, create employment at the hinterlands, breeds rural politicians and in furtherance reduce over dependency and insecurity to barest minimum”. Similarly, the Labour Party Boss called on Anambrarians to judiciously cast their votes to the most qualified candidates among the 23 on the race during the 16th November gubernatorial poll but based on what he termed “ability and willingness to deriver Anambra from poverty, darkness and insecurity without incurring debt to the state” even as he charged all the Traditional Rulers and community leaders who he described as opinion moulders in every society to educate their subjects on the tenets of election noting that failure to do so might spell doom to the entire populace as “Holy-Bible says that people suffer when an evil man is at helm of affairs”. 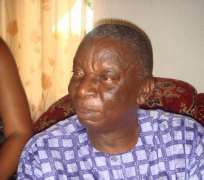 In another development, the Acting Chairman of Anambra State Independent Electoral Commission (ANSIEC), Hon. Sylvester Okonkwo has reiterated the readiness of his commission to conduct council poll on December 14th as postponed. Okonkwo who also stated this in an interview recently noted that the resources among other things hindering the electoral umpire from conducting it have been ratified even he maintained that nothing could change the new date. Assessing the state government, the Ansiec Boss averred that Governor Peter Obi led executive has turned Anambra to only state with internal democracy in Nigeria as his administration gives equal opportunity for emergency of opposition political parties in an election. “It is only in Anambra you will see five political parties in the state legislative arm namely APGA, PDP, ACN (APC) and Accord. Also, about 25 have indicated interest to run for local government poll even as 23 already rock horn for governorship election”.